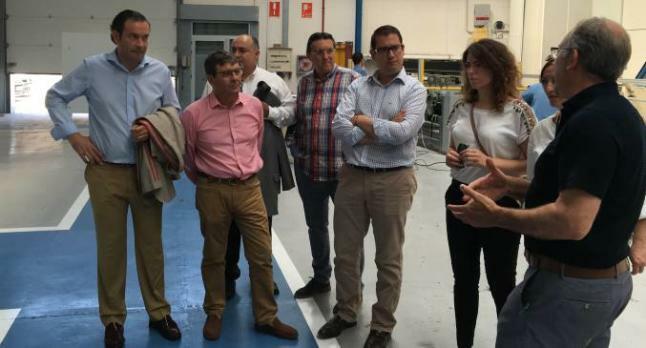 The Platform for the Territorial Reindustrialització has asked the Comissió d'Industria de les Corts Valencianes more support for quality industrial areas, the pilot project promoted by the Platform, which brings together employers Vall d'Albaida (Coeval) l'Alcoià-El Comtat (Fedac) and Foia of Castalla (Ibiae). The Platform for the Territorial Reindustrialització has asked the Comissió d’Industria de les Corts Valencianes more support for quality industrial areas, the pilot project promoted by the Platform, which brings together employers Vall d’Albaida (Coeval) l’Alcoià-El Comtat (Fedac) and Foia of Castalla (Ibiae). Representatives of the Platform have maintained a working day in Ontinyent with the president of the commission, Victor Garcia, and members of the same, of all political parties with parliamentary representation: Fernando Pastor, Noelia Hernandez, Rosa Garcia and Jose Almeria.